Caryl E Adams Primary School Pre-School, Elementary School / Public 3 3.01 mi. Tioughnioga Riverside Academy Elementary School, Middle School / Public 6 2.6 mi. Whitney Point Senior High School High School / Public 6 2.89 mi. Chenango Forks Elementary School * Pre-School, Elementary School / Public 5 9.59 mi. Maine Memorial School * Pre-School, Elementary School / Public 7 6.63 mi. Central Baptist Christian Academy * Elementary School, Middle School, High School / Private N/A 9.24 mi. 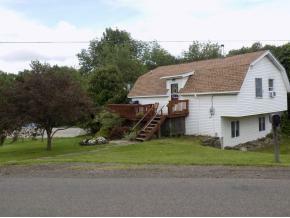 149 Driscoll Road, Whitney Point, NY 13862 is a 2 bedroom, 1 bath single family home was sold for $98,000 by Donna Klimow in the Vestal/Binghamton real estate office.